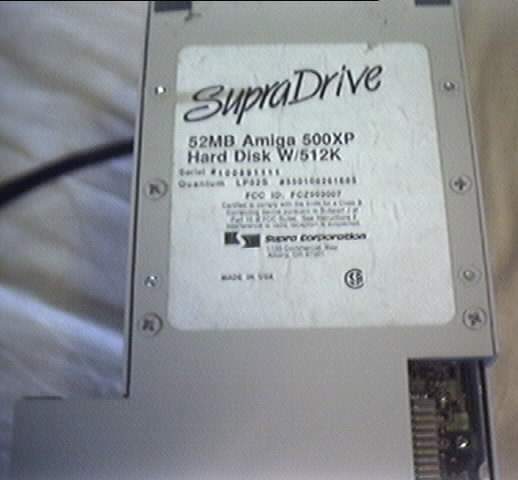 The SupraDrive 500XP is designed to use two different kinds of memory chips of expansion. Using 256k x 4 DRAMs (1 megabit), you can configure the 500XP with 512k, 1 meg, or 2 meg of RAM. For expansion above 2 meg, you must use all 1 megabit x 4 DRAMs (4 megabit) on the 500XP board. These DRAMs allow 2 meg, 4 meg and 8 meg configurations. The RAM used for 512k, 1 meg and 2 meg configurations must be 256k x 4 DRAM (DIP) chips, 120ns or faster. For 512k you'll need 4 chips; for 1 megabyte, you'll need 8 chips; and for 2 megabytes, you'll need 16 chips. 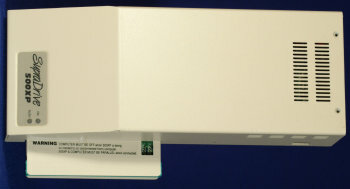 The RAM chips are inserted int he sockets towards the front of the 500XP. (Be sure to place each RAM chip so that its nothced or indented end, pin 1, is away from the LEDs) To install 512k, insert the four chips in the sockets next to the 512k labels. To install 1 megabyte, full all 8 sockets next to the 512k labels and the 1MB labels. To install 2 megabytes, fill all 16 sockets. After inserting the RAM chips, following the instructions under SETTINGS RAM SIZE JUMPERS. For 2, 4 or 8 megabytes RAM configurations, the 500XP is designed to accept - directly on the board - 1 megabit x 4 DRAM chips (4 megabit) in a 300mil DIP package. The DIP RAM used for 2 meg, 4 meg and 8 meg configurations must be 1 megabit x 4 DRAM (DIP) chips, 120ns or faster. FOr 2 megabytes you'll need 4 chips; for 4 megabytes, you'll need 8 chips, and for 8 megabytes you'll need 16 chips. 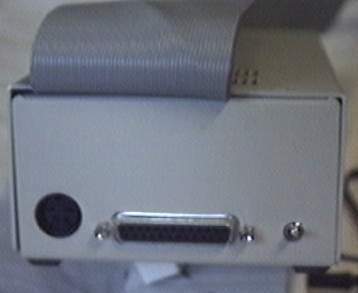 The RAM chips are inserted in the sockets towards the front of the SupraDrive (Be sure to place each RAM chips so that its notched or indented end (pin 1) is away from the LEDs) To Install 2 megabytes, insert the four chips in the sockets next to the 512K labels, just like the 1 megabyte configuration shown in the previous section. To install 4 megabytes, fill all 8 sokcets next to the 512K labels and the 1MB labels. To install 8 megabytes, fill all 16 sockets. After inserting the RAM chips, follow the instructions under SETTINGS RAM SIZE JUMPERS. To allow you to use ZIP package DRAM, Supra has designed an add-on board that simply adapts the 500XP sockets to accept ZIP chips. We have pretty much NEVER seen this board, so don't worry about it. If you do require information for it, email National Amiga. Page contributors: Andrea Roll, Greg Scott (National Amiga), Howard Mankin, Mats Magnusson, Pat Wallace, RiWa & Friends.